The celebrations take the form of lessons facilitated in the Garden as well as small events in schools and in the community. They involve relevant partnership organisations and stakeholders and aim to develop meaningful awareness and learning as well as lead to the participants into taking some form of environmental action. A High School Career Expo and a Primary School Career Visit are facilitated annually. 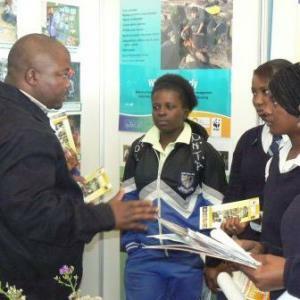 The former involves selected groups of high school learners interacting with a number of SANBI directorates and units (especially within the Research Division) as well as external organisations in a highly structured manner. The aim is for learners to engage with information about a variety of biodiversity careers as well as which university courses to study directly from practionioners. 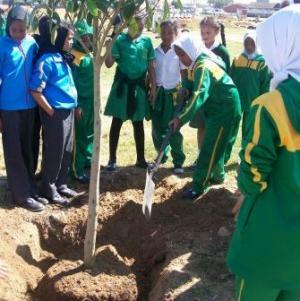 The latter involves the primary school learners doing research on biodiversity careers, developing and eventually presenting small dramas or role-plays to illustrate their selected career. This fun-filled, dress-up activity has proven to be really successful because the learners realise that they need to maintain certain science subjects into high school if they wish to follow a particular biodiversity career path. 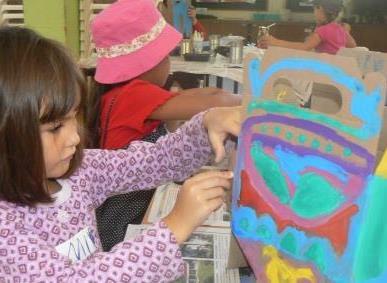 Special lessons are offered during the school holidays which include fun learning experiences for learners of all ages. In addition, two art workshops (one suitable for Foundation Phase and the other for Intermediate Phase learners) are facilitated during three school holiday periods (April, July and October). Look out for the notices for these programmes on the SANBI website’s events page.